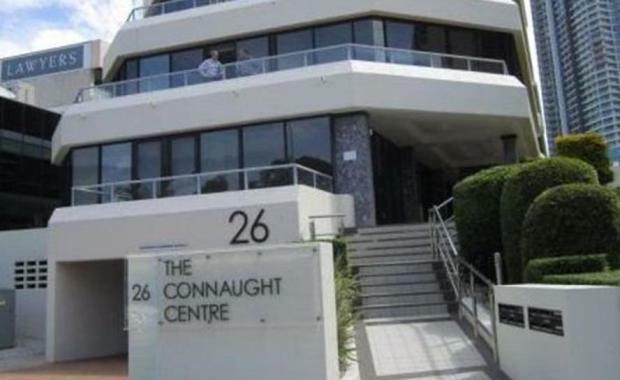 Greenery Developments Pty Ltd have purchased a Southport office building known as The Connaught Centre for $9.7 million, representing a yield of approximately 7.35 per cent on current income. The five level office building, superbly located at 26 Marine Parade fronting the Broadwater parklands, offers 2,839sqm NLA and a net annual income of about $771,232. Long standing tenants include REIQ Ltd, LandMark White Valuers, Carter Lester Lawyers and Global Players Network, plus other commercial tenants. Kyle Youngson, who negotiated the off-market sale on behalf of previous vendors Paulyn Investment Pty Ltd, said the purchaser saw this as an outstanding investment opportunity considering the building’s strong occupancy record for almost a decade. “In line with the asset’s stable occupancy levels and strong rental performance, the overall Gold Coast office market is also moving in the positive direction with the vacancy levels declining over the last six months down to 13.6 per cent. “The vacancy decline is expected to continue with only 7,592sqm of space due to come online in 2016, and no space in the pipeline for 2017 onwards, as confirmed by PCA earlier this month. “This coupled with strong interest in potential future development opportunities in Southport CBD, particulary with views over Broadwater Parklands are all factors attracting buyers to invest into this area,” Mr Youngson said. Greenery Developments Pty Ltd are active in the commercial market on the Gold Coast with their recently built premium 9,000sqm industrial facility at 60 Newheath Drive in Helensvale. This building has raised the bar considerably for office/warehouse developements on the coast and is currently available for lease. Greenery Developments also own a 1.78ha industrial lot with M1 highway exposure at 2 Newheath Drive, for which they are seeking tenants for a design and construct opportunity.